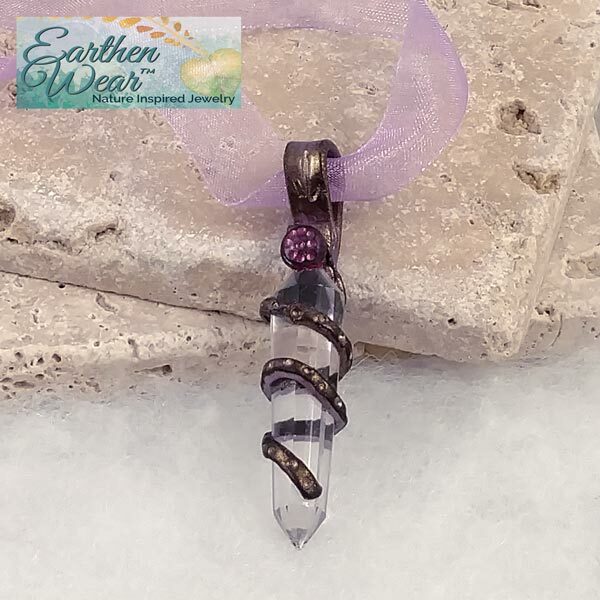 Mica tinted polymer clay, hand sculpted pendant with a super clear, faceted Quartz crystal point. Pendant is 2-1/2" tall, 1/2" wide and 1/2" thick. 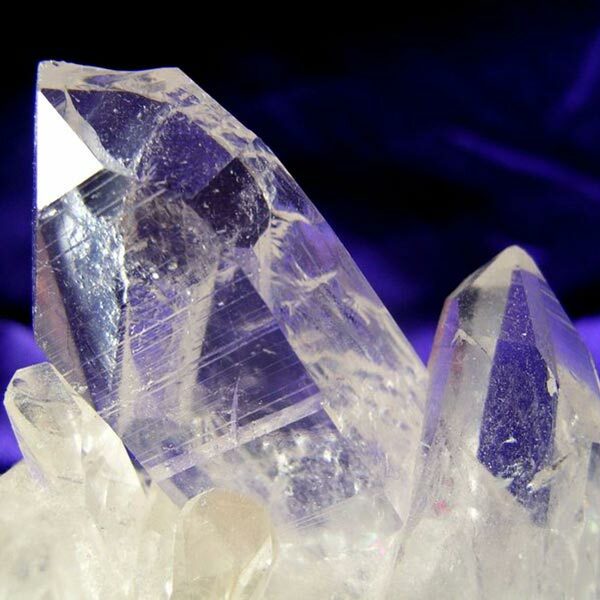 Quartz brings us self-knowledge and helps to overcome what we believe to be our mental limits. Gift Boxed and includes pastel colored, adjustable Ribbon Neck Cord (13mm wide x 16 1/2' inches long, plus 2 inch extender chain).